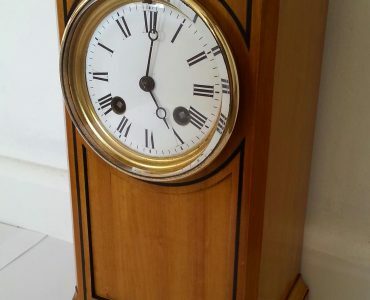 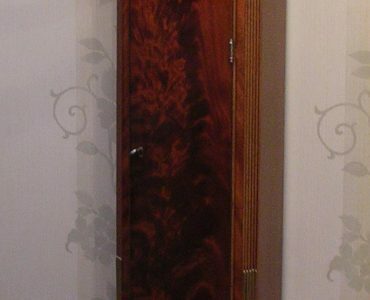 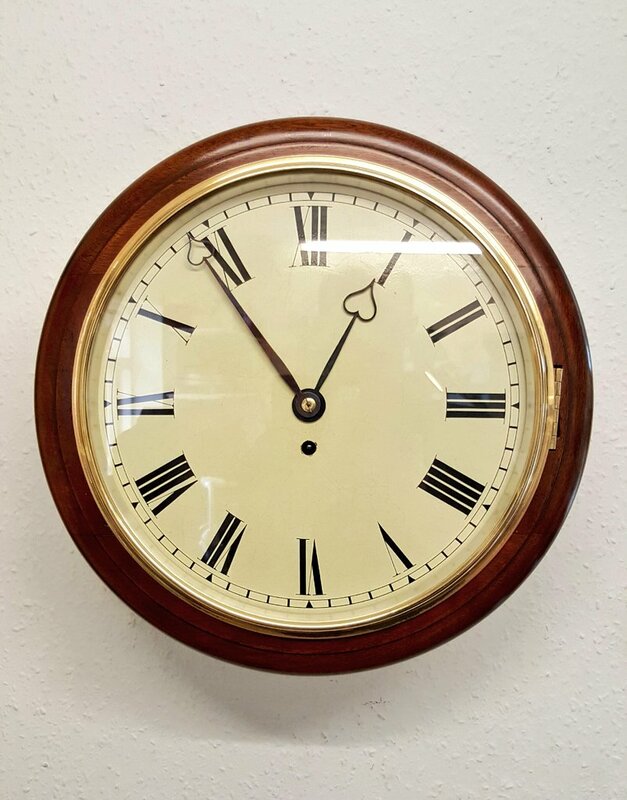 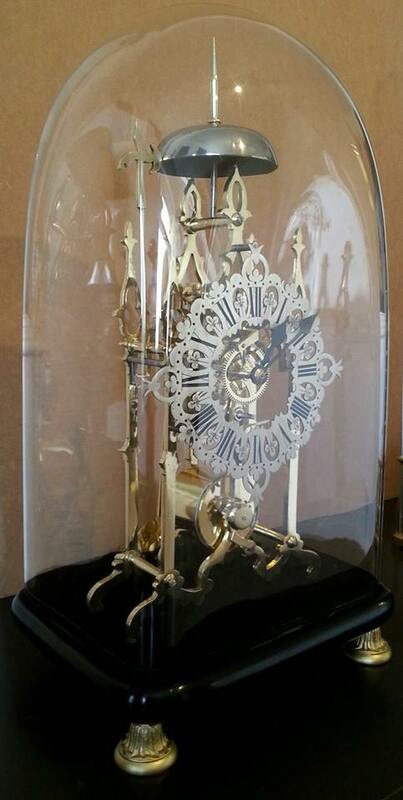 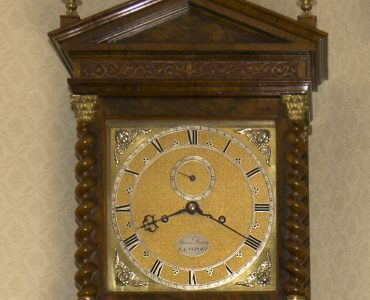 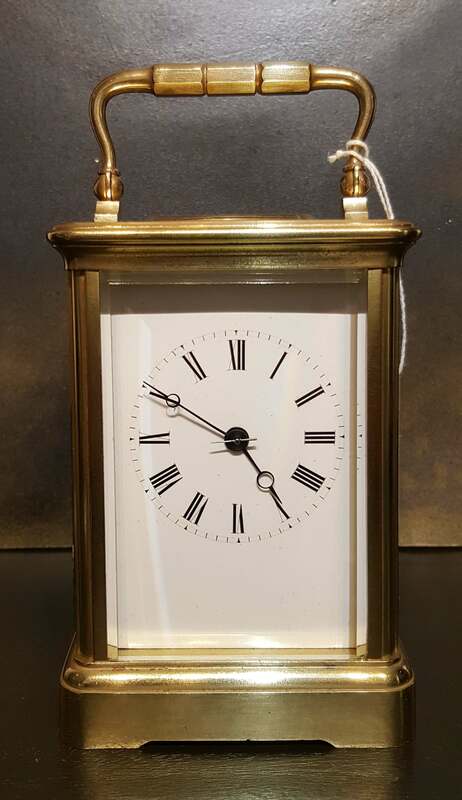 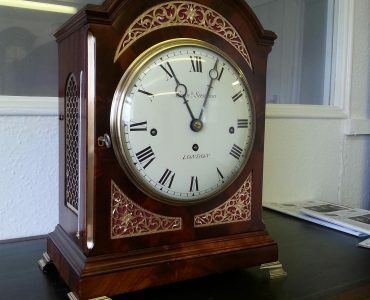 This image shows the case restoration of a fine quality mahogany bracket clock. 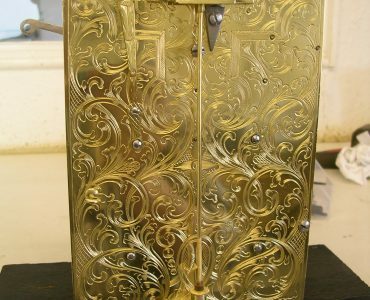 This image shows the finely engraved backplate of a verge bracket clock during an extensive restoration. 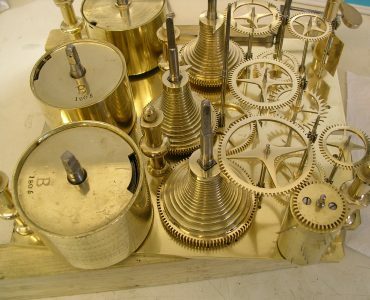 This image shows the assembly stage of a fine regency three train bracket clock movement.